Where to start with this game? After the last couple of games played I was ready to throw in the towel, but Buster Red turned it around. This game was really fun. Brought back some memories from when I was a kid playing Gradius hour after hour. Yes, I know, it is not Gradius. You can’t go wrong in a game when you have to fight waves of enemies like a scene out of a nightmare. Thankfully there are no firing buttons. Your one saving grace. The ships auto fire making your life semi-easier or harder, depends on how you want to look at it. The object is to survive 30 levels of onslaught. You have powerups or busters that you can collect through each level. Use these wisely. As far as fun factor is concerned this game is awesome. The graphics are good except that the background tends interfere with the game play. The controls are easy enough. Drag the ship around to avoid death. My only gripe, I was blessed with huge fingers, and dragging something that has disappeared beneath my finger is not fun. Makes dodging projectiles challenging. The game is fun, and will keep you entertained for plenty of hours. The school bully, you gotta love ’em. The game is a shooting gallery style. The goal is to cause as much problems without getting caught by shooting, throwing and spitting at all the kids. You must choose from three different tools slingshot, projectiles and a straw. In order to use your preferred weapon you must hold and keep the ‘D’ button down while selecting your targets. When the authority makes a noise it means it is time to hide your weapon before he/she turns around and catches you. The game offers different locations and bonuses through out the levels during the week. I did notice a bit of a lag time between targets and shots. The awkwardness of the controls were a drawback. I was hoping for some sort of endless level mode. 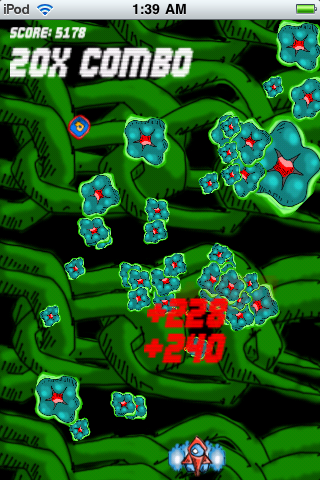 This is my first shooting gallery game on the iPhone, and I did have some fun with it. 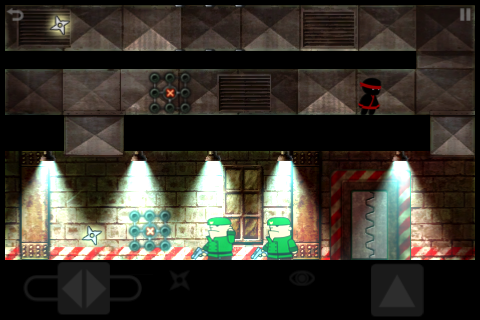 Boiler Blast is a pipe connection game that includes an original twist. There are 48 levels with various difficulty settings and your objective is to connect the pipes before the time limit runs out and the boiler blasts! The original twist to this pipe connection game is that the levels also contain rats that run around the screen randomly. Mr. Rat isn’t that much of a problem on the first 10 or so levels, but eventually he becomes a problem as you have to help move him out of areas that you need to lay pipe in! There is also a fun hammer tool that you can use to to sun the rats. You lay pipe by selecting the type of pipe you want and then tapping onto an open tile. The pipe can be rotated by tapping on that pipe. 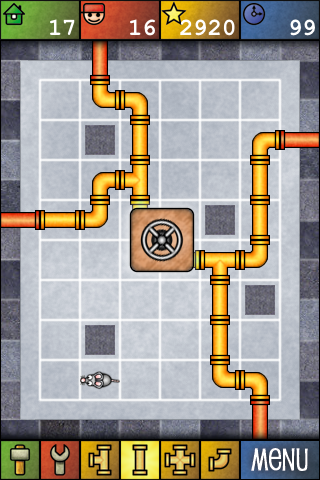 Once you have connected all of the pipes you can tap on the boiler and the pressure will be released! This is really a great game. The graphics and sound fit the game perfectly. I really like puzzle type games and this one is very well done. It might be nice to have some achievements and in app purchased level packs, but other than that Boiler Blast is very complete. Boiler Blast is a great deal at $0.99 and if you don’t already own the game give it a try today! Silent Swords is an action packed stealth game done right! You are a ninja and it is your mission to make it to the door without being detected. There are guards, lights, mines, and lasers to keep you from reaching your objective. The main obstacle is the guards and you must stay out of their view until you can take them out. You are able to use gesture-driven sword attacks and Chinese throwing stars to kill the guards. There are also some levels where you can hide under things and move as the guards are not looking. The graphics, music, and sound effects are awesome. Controlling the ninja using the on-screen controls and the different swipe gestures works very well. There are tons of levels and even some additional levels that you can unlock after beating the main game. The developer just recently added OpenFeint achievements, which really keeps things moving! Silent Swords is easily worth the $2.99 price and is a very fun game! It looks like there is a sequel being developed. It would be great if the sequel included guards being able to hear sounds and maybe even an alert system similar to the Metal Gear Solid games. This is not a review, but rather an announcement for my new game Sheeple HD for the iPad. I myself am an indie developer and that is where the thought for this site was birthed. I recently, like the droves of other developers, decided that it would be an opportunity not worth missing to have an iPad application available at the grand opening of the iPad App Store. I didn’t want to just do a direct port of my game Sheeple and then charge the user 2-5x more, just for larger resolution graphics. I actually find it amusing how many $0.99 game developers are just creating larger resolution graphics and changing $4-$5, for no additional gameplay variation. That being said, I do think that the $0.99 price point is much too low to keep indie developers motivated long term to create quality games as the number of applications continues to surge in the App Store. Sheeple HD for the iPad shares a lot similarities with Sheeple for the iPhone, but contains all new levels, much larger levels, and a completely new scoring system. The levels are actually much more challenging and are really fun to play with more elements on the game board. Please give Sheeple HD a try if you have an iPad and let me know what you think! We are a little late to review this Christmas game, but better late than never! Rocket Santa is a very simple game where you are Santa with a rocket pack. 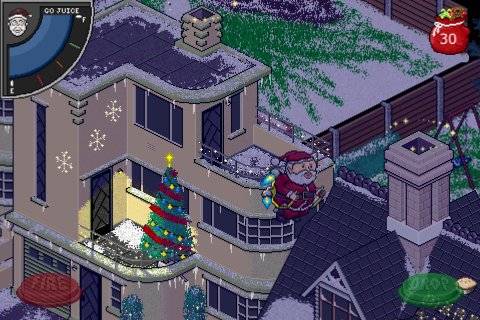 The objective of the game is to drop presents down certain chimney, while avoiding others. This game is really a lot like Paperboy, but with a Christmas theme. The pixel artwork is fantastic and alone enough to make you want to check out the game. 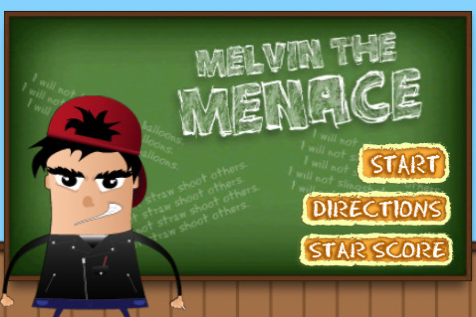 There is no background music, but you can play your own and there are nice sound effects. The game is pretty short, but I could imagine another update coming out next season that could breath some fresh life into this game. While you are checking out Christopher Waite’s games you might want to follow what he is doing on his next title here. Looks like this upcoming title is more ambitious than his first two. 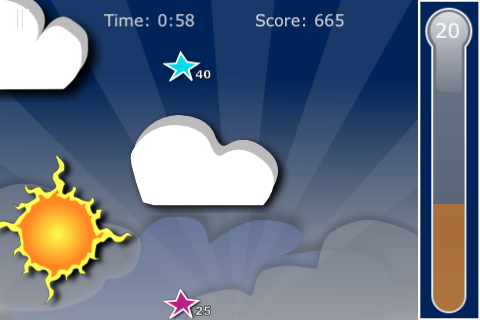 Star Fusion is an arcade style game where you control the Sun and try to intercept stars as they fly across the screen. This sounds easy, but it can be pretty tough the longer you play! The controls for this game require both left and right thumbs to be really affective. You control the vertical position of the Sun by sliding it up and down on the screen. The sun needs to be aligned with the stars that move from the right to the left side of the screen. Now, in order for the sun to capture a star you must use the thermometer control on the right side of the screen and if a star has a value of 25, then you need to set the thermometer control to 25. The graphics are very well done and the clouds that move across the screen on their own are a very nice touch. The clouds can actually obscure your view of stars, but you can always grab a cloud and drag it to a more desirable location as it moves across the screen. There are various power-ups that either give you additional time or increase the score of captured stars. The game has fitting background music and sound effects when stars are captured. The help system is nice and makes it easy to pickup the game and understand what you should be doing. It might be interesting to have a level/wave type setup where you need to collect a certain number of stars to progress to the next wave and then when you stop/restart the game you could continue where you left off on say “Wave 12”. Shuttle Dock is a game that allows you to pilot Space Shuttle Atlantis as you try to doc the nose of the shuttle with various target crosshairs. 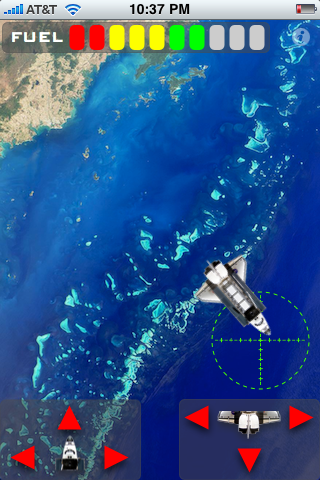 The game features beautiful still background images that are provided by NASA. You control the space shuttle using thrust controls and are trying to doc with a target crosshair. The target will turn from yellow as you are getting close to lining up and the finally green once you are completely lined up. You must hold this position for three seconds and then you complete the docking and pass the level. The game is very simple, yet it is actually fun. The background images are static so the only movement is the shuttle and you get to see the thrust actions. There is no background music, but there is really well done voice communication as you attempt to doc the shuttle. The targets actually become moving targets in the more difficult levels and that really helps keep things interesting. There are a lot of good levels in the base free version and then you can purchase additional levels. It might be more interesting if an update was released that would add malfunctions or flying objects/debris into the mix! UPDATE: Joe was kind enough to let me know that there is in fact background music! I couldn’t hear it at my volume level, but turning it up a bit and you can hear the background music that actually is pretty nice. Thank you Joe! Fowl Invaders is your classic tale of redneck rampage meets chickens from outer space! This is a simple arcade style shooting gallery game where your objective is to kill every space ship that flies across your screen using missiles as your only weapon. 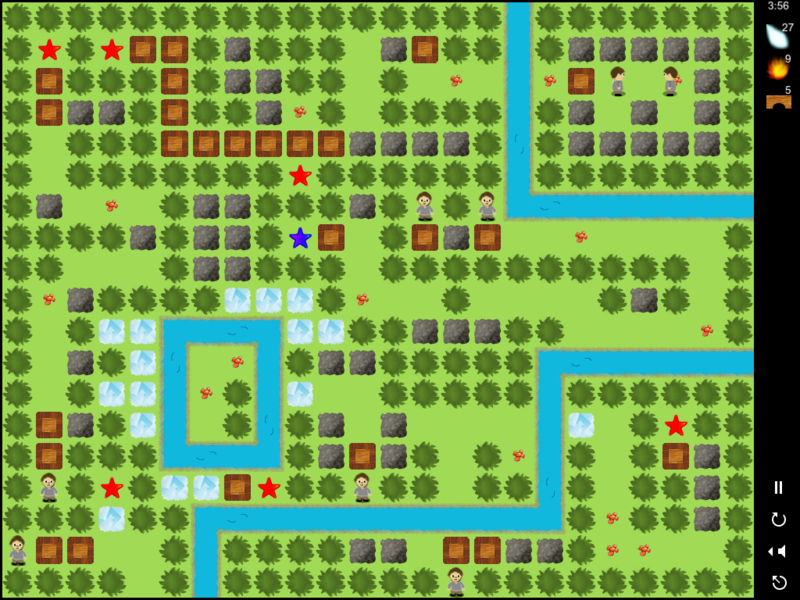 This game uses the Unity engine, which is becoming more and more popular with the indie developers. The music and sound effects are great. There are unlockable missiles and also various power ups that you can obtain while playing the game. The game is interesting and hopefully the developer will continue to expand to make things even more interesting. I would like to see the space ships have weapons that could harm you. 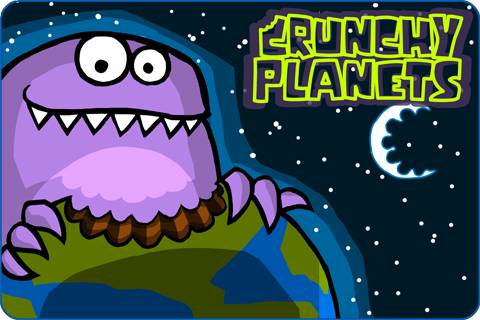 Crunchy Planets is one of those fun games that you would play when in a waiting room or standing line. 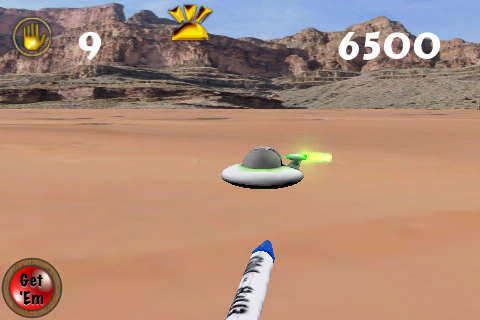 The object of the game is maneuver the alien around space, eating planets you come across. You use the accelerometer to navigate your way through space. Do avoid black holes, missiles, asteroids and inhabited planets or you will die. When eating planets aim for a combo, if you can call it that, it will increase your points and give the next planet a substantial amount of points. While being the universe’s trash compactor you will run into power ups. The three power ups ghost, magnet and shield will help you while eating planets. You will encounter blue orbs in space. Eat three of these to become a giant and eat anything in your path. The graphics are cute. I wish there was a soundtrack to the game, but listening to my own music filled that missing piece. The sound effects are great. There are no controls except for the accelerometer. Keeping it simple, I like. The game is simple and fun.